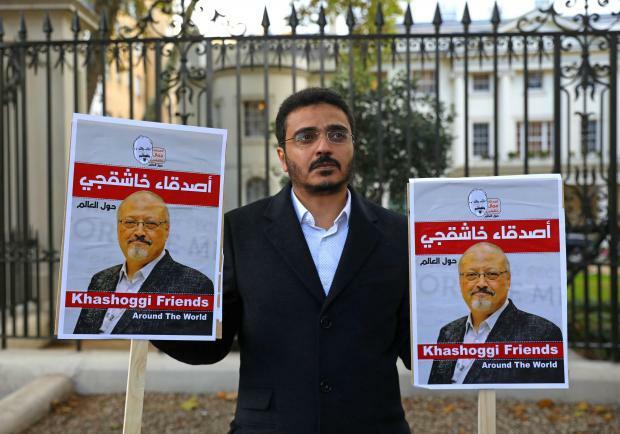 People protest against the killing of journalist Jamal Khashoggi in Turkey outside the Saudi Arabian Embassy in London. Turkey has given recordings on the killing of Saudi journalist Jamal Khashoggi to Saudi Arabia, the United States, Germany, France and Britain, President Tayyip Erdogan said on Saturday. Khashoggi, a critic of Saudi rulers, was killed inside the Saudi consulate in Istanbul.